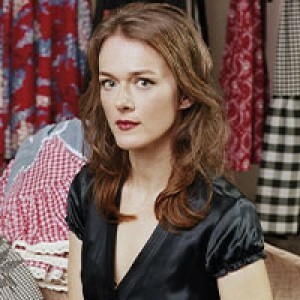 Laura Cantrell should have been the next Nanci Griffith. She has a better, sweeter voice and writes songs of a similar, yet less sentimental calibre.However, she’s had the misfortune to peak at a time when there’s a glut of great female singer/songwriters. So many that it’s hard to keep track of: although the Cosmic American Music Club does a great job of bringing the best to the city.New album, No Way There From Here, is as good as anything Laura’s done. Yet I suspect this brief tour takes place in time snatched from her day job as a banker. Fine guitarist and backing singer Mark Spencer finished touring with Jay Farrar on Sunday and joined Laura the next day. On this opening night, it takes a while for them to gel. Things pick up with the fourth number, her sharp stalker song, 14th St. Soon the title track of the new album finds them in full flow.Spencer, a Mount Rushmore of a man, plays fluid, lovely fills and gives the songs structure, adding dobro on several numbers. The seventeen song set includes a couple of Kitty Wells covers and her best known tunes. When The Roses Bloom Again and Not The Tremblin’ Kind conclude the set to rapturous applause. Encores of Two Seconds and The Whiskey Makes You Sweeter go down so well she comes back for Kitty Wells’ I Don’t Claim To Be An Angel. Wonderful. I could have listened to her all night. This entry was posted on Friday, October 4th, 2013 at 1:21 pm	and is filed under General. You can follow any responses to this entry through the RSS 2.0 feed. You can leave a response, or trackback from your own site.